The 4Med EMR Office Professional Certificate provides students with an in-depth understanding of electronic health records using self-paced online lessons, quizzes and exams as well as multimedia audio and video review. Participants also engage in hands-on workflow exercises utilizing a certified EHR/EMR application. 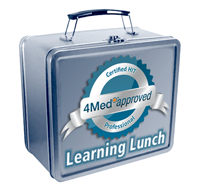 The hands-on EMR exercises are designed to teach students the fundamentals of electronic medical record workflow. 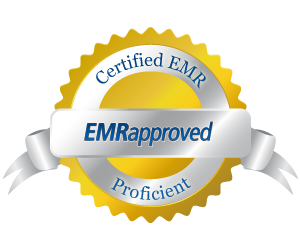 The custom certified EMR solution creates a working environment similar in design to most of the major certified products on the market – allowing for a flexible learning experience uniquely applicable to multiple platforms and medical workplaces. 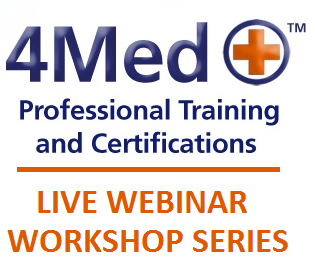 Successful completion of this course awards a Certificate in EMR Proficiency which has been reviewed and authorized by the 4Medapproved professional medical and technical advisory boards.